The Indian Runner duck breed is a unique duck breed that is relatively popular among backyard duck hobbyists. True to their name, Indian Runner Ducks are a duck breed originally from the Indian subcontinent. The first Indian Runner Ducks was imported to the west to the United Kingdom over 170 years ago. The first Indian Runner Ducks were displayed at a zoo. Since then, the exotic Runner duck breed has grown in popularity and can now be found in the backyards of many individuals who raise ducks. Author Stephen Hicks, in his book Domesticated Ducks and Geese (International Poultry Library) , says that the first Indian Runner Ducks were bred by duck breeder J. Donald. Adult individuals of the Indian Runner Duck breed weight anywhere from three to five pounds. Male Runner Ducks, or drakes, are typically heavier than female Runner ducks. The Indian Runner Duck breed is much quieter than other duck breeds, and rarely squawks or quacks. Raising and Caring for Rouen Ducks: Runner Ducks make an excellent breed for those interesting in raising ducks in the backyard. Runner ducks can fed ordinary duck feed, though the feed intake of Indian Runners are slightly lower than that of other duck breeds. 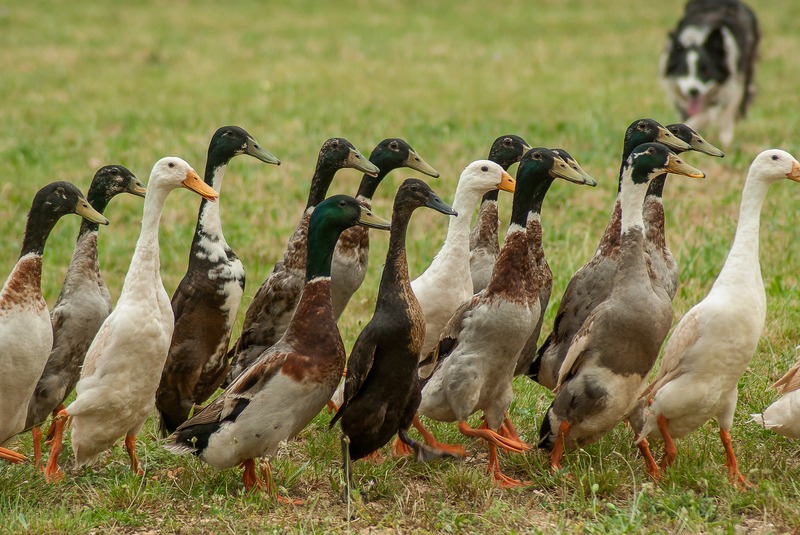 Runner Ducks make an exceptional duck breed for those raising ducks for duck eggs. Indian Runners lay far more eggs than most duck breeds, with some strains bred to lay one egg per day (much like chicken layers). Also, many production strains of Runner Ducks have had their broody traits bred out of them, allowing Indian Runners to lay even more eggs on an annual basis. If you wish to start brooding and hatching Indian Runner ducks, it takes 28 full days to hatch the average clutch of Runner eggs. Indian Runner duck eggs are about the size of an unusually large chicken hen’s egg. Other information about incubating and hatching Runner duck eggs can be gathered in our hatching duck eggs article.